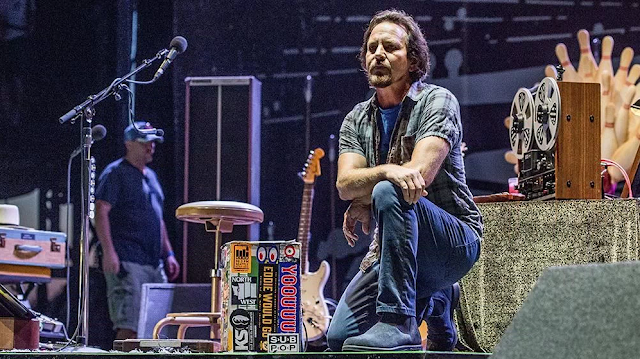 Eddie Vedder was among several artists this week who took a knee in support of players in the NFL protesting police treatment of African American citizens and free speech. He paused during his performance at the Tennessee Pilgrimage Fest to kneel and show his disdain for President Trump's comments calling for the firing of any players who protested at NFL games. Other artists doing the same were Pharrell Williams, Roger Waters, Dave Matthews, and Stevie Wonder. The band's twitter account also confessed support for the players.